Lock in a great price for Lords Of The Manor – rated 8.6 by recent guests! The setting of this hotel is magnificent, the staff are friendly and attentive. Our room was lovely and service in relation to the room was excellent. Very lovely and calming place to visit. The food was delicious and the setting is beautiful. Absolutely brilliant hotel, friendly, comfortable and set in beautiful surroundings. Beautiful surroundings, bed exceptionally comfy and made to feel like royalty. Breakfast was lovely, although service was a bit hot and miss. Staff were very friendly and attentive, food was great we will definitely return. Lords Of The Manor This rating is a reflection of how the property compares to the industry standard when it comes to price, facilities and services available. It's based on a self-evaluation by the property. Use this rating to help choose your stay! 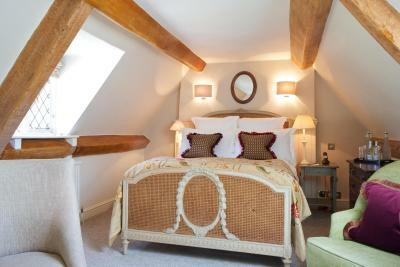 Each bedroom is individually designed, with elegant furnishings. 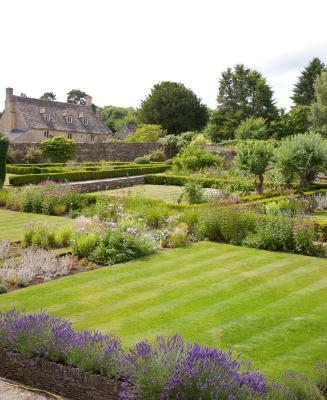 Some rooms have views of the parkland and pond, or the walled gardens and Upper Slaughter Hill. Every room has a flat-screen TV and a DVD player. Lords of the Manor has been awarded three AA Rosettes for its fine food and offers a choice of two dining styles. Atrium at Lords of the Manor is a fine dining restaurant. Here Head Chef, Charles Smith, showcases his culinary skills with a signature tasting menu. The second restaurant, The Dining Room, is for guests wishing to a choose from à la carte menu but in a less formal dining environment. 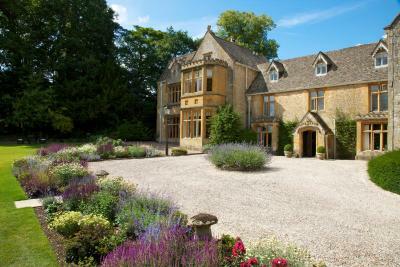 This property also has one of the top-rated locations in Upper Slaughter! Guests are happier about it compared to other properties in the area. 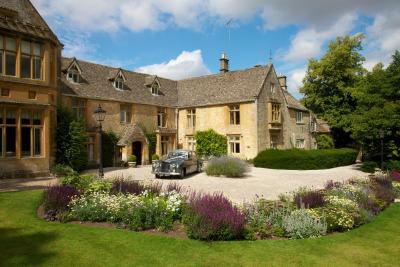 This property is also rated for the best value in Upper Slaughter! Guests are getting more for their money when compared to other properties in this city. 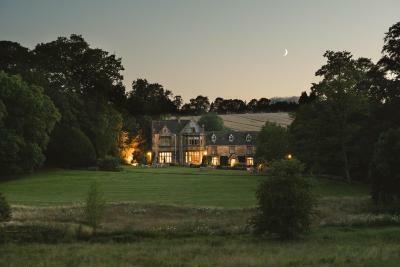 When would you like to stay at Lords Of The Manor? Basic accommodations with a double bed and some rooms overlook the village. Cannot be twinned and children are strictly not permitted. Standard double rooms can be prepared with twin beds, all have an private bathroom. Located in the wing of the hotel, first or ground floor rooms have views to the inner courtyard or the village. Elegant room located in the oldest part of house with garden views. 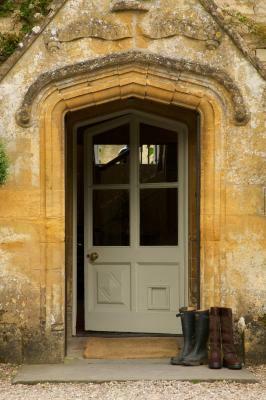 House Rules Lords Of The Manor takes special requests – add in the next step! One child under 16 years is charged GBP 50 per night when using existing beds. Lords Of The Manor accepts these cards and reserves the right to temporarily hold an amount prior to arrival. Please note The Atrium has 2 dining times for its tasting menu at 18.45 and 19.45.
overall quality of the food. Bathroom ceiling in Guitting needs some serious work doing to ceiling. Overpowering smell of damp just by the head of the bed. Service was good, location lovely. Lovely country style decor in public rooms. 3 phone calls before we arrived re dinner bookings - the first was fine and explained would be arriving too late the first night and made booking for the second night. About 5 days before arrived had another message about dinner bookings - were we making one? Rang and explained again yes but for only the 1 evening. On day of travel had a phone call just as we were about to set off wondering whether we would be arriving in time for our dinner booking that night. Rang back and clearly had us down to eat that evening so explained ONCE AGAIN! Staff at time almost too attentive - given lengthy drinks list then asked what we wished for very quickly - same with menu. Breakfast first morning - came down in time but fairly towards end - obviously wanted to clear up buffet as asked while eating cooked part whether we would wish for pastries. Bathroom - obvious water damage around bath (overflow clearly not sited correctly) Mould on windows (from condensation) and black marks on bath (from shower screen) could all be very easily removed. Curtain behind TV would not close using pulley and difficult to reach.Cheese course at dinner - disappointing to have commercial biscuits and lack of variety of condiments ( many pickled onions and 1 chutney) at such a high establishment. Stayed here 21 years ago - obviously expanded but overall less satisfied with stay - shame potentially could be excellent and lovely situation. Did not pass my husbands scrambled egg test - quite solid. Friendly greeting - once receptionist finished lengthy phone call (taking a booking). Newly decorated public areas. Situation of hotel. Some aspects of the dinner were excellent - the brill. Staff generally good. The difficulty to have a shower and the bathroom is very cold. The bar tender had bad manners, when we arrived at the bar he chose to greet my husband only. He (my husband) had to remind him of my presence. I think that was terrible, given that it was my birthday celebration I was put off a little! The staff were excellent and very helpful and friendly. The view fantastic and the bed very comfortable. What we found disappointing was the bathroom, it was very cold and the water pressure and temperature in the showers a serious problem. Very difficult to regulate! I hope this is sorted out, it is not the kind of problem you expect in a hotel like this. The food was exquisite! 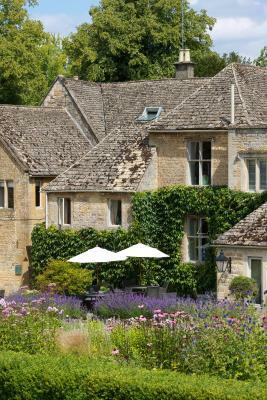 I have eaten a few times at the Manoir in Great Milton, the dinner tasting menu at the Lords of the Manor in Upper Slaughter is the one to beat. Really, really good food! The waiters were very friendly and welcoming.